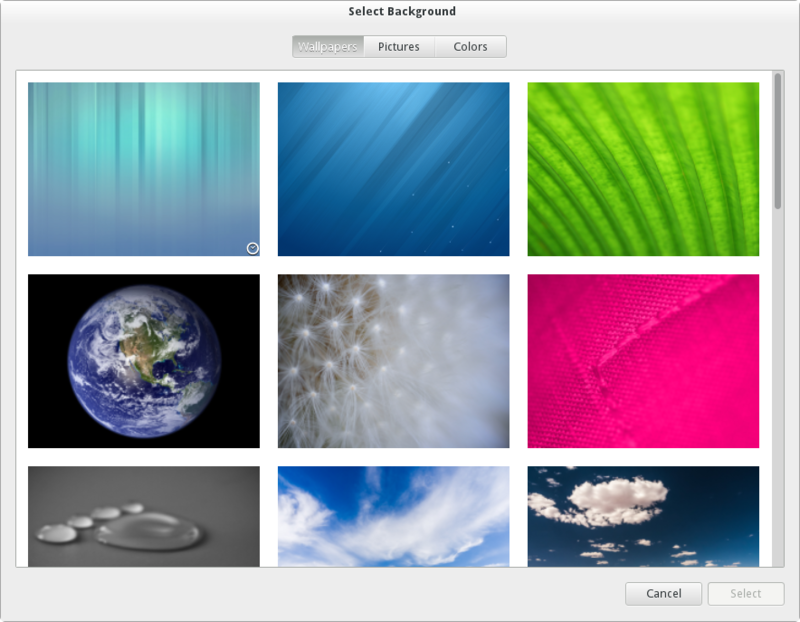 I'm running Fedora 18 and for some reason I can't select or load any pictures as wallpaper using the system settings. If I right-click on a picture I can set it as a wallpaper just fine, but I can't seem to load all my favorite pictures like it does for the base wallpapers and colors options. The wallpaper choosing dialog has changed a little bit in Fedora 18 (GNOME 3.6). However, when choosing a wallpaper, I get three "tabs" at the top of the "Select Background" dialog that give me the option to choose between Wallpapers (the system wide stock ones), Pictures (GNOME searches for these pictures in the "Pictures" folder in your home directory), and Colors (block colours and gradients). Also, GNOME will not show images that have been taken with the gnome screenshot tool. ( I filed a bug for this -- https://bugzilla.gnome.org/show_bug.cgi?id=693228 ), but this is intended behaviour for GNOME, so it is now closed NOTABUG. If you really want a screenshot as a background, you can workaround this by opening your image in the GIMP and exporting it back to the same file with "File > Export to yourfilename.png" in the GIMP. This will trick GNOME into showing the file in the Pictures tab. +1 for filing the bug!